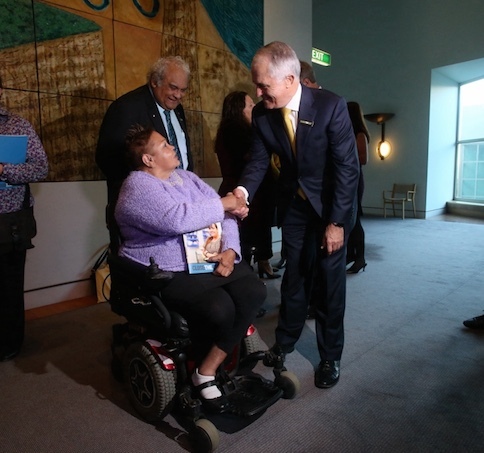 Australia’s leading Aboriginal and Torres Strait Islander peaks will today demand a new relationship with government as they deliver the historic Redfern Statement direct to the Prime Minister at Parliament House. In the lead up to today’s 9th Closing the Gap Report to Parliament, the leaders will call on the Prime Minister to support the historic Redfern Statement, a road map to better address the appalling disadvantage gap between Australia’s First Peoples and non-Indigenous Australians by working with them as genuine partners. National Congress of Australia’s First People’s co-chair Mr Rod Little comments: “After 25 years, eight Federal election cycles, seven Prime Ministers, eight Ministers for Indigenous Affairs, 400 recommendations, and countless policies, policy changes, reports, funding promises and funding cuts it’s time to draw a line in the sand. The Redfern Statement was released during last year’s Federal Election campaign on 9 June by Aboriginal and Torres Strait Islander leaders from health, justice, children and families, disability, and family violence prevention sectors. The statement calls for changes across these sectors through structured engagement with Aboriginal and Torres Strait Islander people, and is supported by more than 30 major mainstream organisations including the Australian Medical Association and Law Council. National Congress of Australia’s First People’s Co-chair Dr Jackie Huggins said Aboriginal and Torres Strait Islander organisations have worked with our people on the ground for decades and have shown they have solutions. “Aboriginal Community Controlled Health Organisations deliver 2.5 million episodes of care a year in their local communities – and are the only health and leadership models making inroads on Close the Gap targets. “Our teachers, education professionals and family violence experts are delivering real results on the ground in their communities every single day – despite chronic underfunding and an ad hoc policy approach based on three year election cycles. “Today we are seeking a new relationship, a genuine partnership and a commitment to ongoing structured engagement,” Dr Huggins said. Read the full Redfern Statement here.